In “The Passage” and “The Twelve”, Justin Cronin brilliantly imagined the fall of civilization and humanity’s desperate fight to survive. Now all is quiet on the horizon but does silence promise the nightmare’s end or the second coming of unspeakable darkness? At last, this bestselling epic races to its breathtaking finale. Just reading that will leave you dying to crack the cover if you’ve been waiting! On we go! 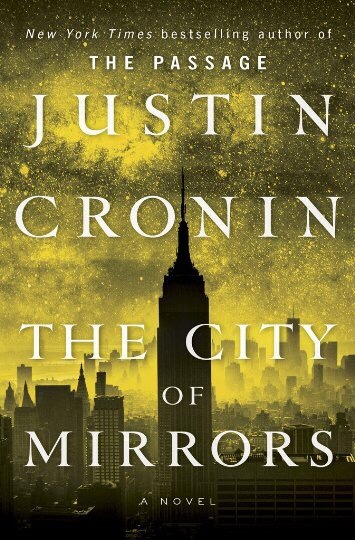 In The City of Mirrors, which is the final book of The Passage Trilogy, Cronin starts us off with an excellent recap of the first two books in the trilogy. However, if you haven’t read the first two books of this trilogy, you absolutely should before reading this one. This trilogy is an epic and although each book probably can be read as a stand-alone, I don’t think you would get the full impact. It’s now twenty years after the events that took place at the end of The Twelve and we start out by getting caught up on where each of the beloved main characters are, and what they have been up to. I liked that. Of course, we are dying to know this stuff, why would we keep reading otherwise? Note: In the second book of this trilogy, my excitement was somewhat dampened when a lot of stories with new people were started. What ever happened to some of those people anyway? Although it did end up coming together, there were times when I was just dying to get back to the characters from the first book. So here we are! Peter has mourned the loss of Amy but he still has dreams of her each night. He has gone on to become a great leader in Kerrville, where the surviving humans are flourishing. New generations have been born and mankind is starting to feel safe again. People are beginning to think of expansion and life outside the gates. Peter’s son Caleb and his family are among those that are moving on. But both Lucius and Michael know that the danger isn’t over. The threat to mankind is still alive. They have joined forces and are working to save the human race. But first they need to let everyone know what they’ve been up to, and try to convince everyone of the threats still to come. After all, there is still one of them out there. Zero, aka Tim Fanning, who was the first to contract the vampire virus and became the father of them all. Alicia, having suffered a ravaging loss, knows Zero is out there, she can hear him in her head. She prepares for battle and makes her way to him in New York City. But before the battle begins, Alicia is given the full life-story of Fanning which is a novel in itself. Fanning’s tale is a tragic story of love and revenge. It is so beautifully told, yet I still found it hard to feel sorry for Zero. In the end, our heroes must come face to face with Zero. Will Fanning’s human past allow him to have any mercy, or will the monster that has become Zero prevail? There are some very heart-wrenching endings for some of those we’ve come to love in this story. I really didn’t know what to expect, but let me tell you there are some surprises here and I wasn’t all that thrilled with the way some characters were wrapped up. This many pages into this epic tale, I was looking for a little more payoff. And let me tell you, each and every time you think this story has come to an end it doesn’t! 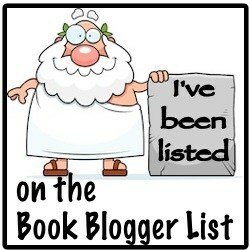 I did like the epilogue although it’s a bit lengthy and overdone. The journal, the island, the archaeological finds were riveting. But we don’t really care about the characters in the epilogue, and Cronin takes us so far into their story that it makes me wonder if he has plans for them in future books. And you see, that’s just the trouble with these books, too many stories within the story. I get that it’s hard to span so many years and come up with thousands of pages for a trilogy but there were just too many times that the story veered off in unexpected directions. Another negative is that some of the romantic relationships just didn’t gel for me. Throughout the books I did find the origin of the virus interesting, and I thought that the connection between the vampires and their progeny was a quite believable premise, but I wasn’t especially fond of the dream sequences that took place in these books. There are those between Amy and Carter, Amy and Peter, etc. I just never bought into these. But I guess that’s why they call it fantasy, right? Are you confused about whether I liked it? It would be an understatement to say that I have mixed emotions about this book. I was very conflicted about rating it at all. I think the impact made on each individual reading the trilogy will be profoundly different. Personally, I really liked The Passage, thought The Twelve was just ok and The City of Mirrors has left me flailing somewhere in between. So… do I love Cronin’s writing or not…. hmmmm….. actually I do! His writing is so masterful that it keeps you reading even though you may not always like where you end up. He evokes a roller-coaster ride of emotions and isn’t that what great authors strive for? Bottom line, this series IS a classic and I will be reading future books by Cronin. I want to thank the publisher (Random House Publishing Group – Ballantine) for providing me with the ARC through NetGalley for an honest review. I just finished it. SAME! Flailing, swooning, dying. OMG. Best of the three for me. I’ll be curious to see your thoughts on it!